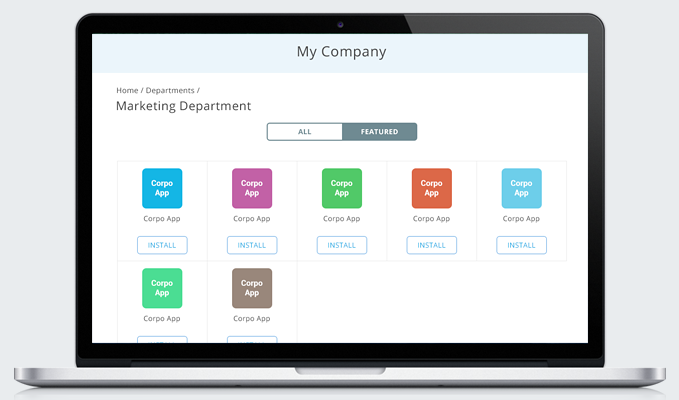 Could your company use an Mobile Enterprise App Store for sharing amongst employees, partners and contractors? Think about it. The Apple and Android app stores are great for meeting some of your business and personal needs, but what about a custom app for scheduling with your contractors and sharing images of projects? Maybe you’re worried about competitors getting their hands on your data. Or maybe you would just like to make a collection of internal apps that are more catered to the workflows of your own company. Regardless, iBuildApp now has a solution for you. You can build your own Mobile Enterprise App Store with just a few clicks of the button. How Does the Private Mobile Enterprise App Store Work? Here’s the deal. The app store is all yours. No one else can touch it or make modifications unless you give them the ability to do so. You can create your own private app store and add an unlimited number of apps, with the ability to modify and delete the ones that need it. Security is a primary factor here, so the store lets you securely distribute apps to people who are inside your enterprise. As we’ve talked about a bit, some contractors, or other external users may need access as well. This type of sharing is available too. It doesn’t matter whether the apps are on the Apple or Android App stores, because all of them are supported through your private mobile app store. You can even find and install work related apps that may prove beneficial to the people in your business. For example, accessing corporate email, contacts and calendars is certainly something that many enterprises are going to need. What Are Some of the Coolest Features You’ll Receive? Various pre-built extensions are available through iBuildApp. 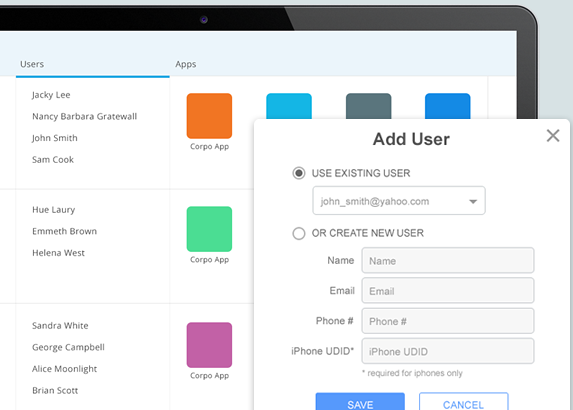 This gives developers a chance to design their own unique apps for their enterprises, while also integrating these extensions without any hiccups. For example, if you’d like an Instagram gallery or a submission form, they are both available for you to use without having to design yourself. Want to see how much your employees are using the apps? Take a look at the detailed stats to understand how many people are downloading the apps. This is all accessible through your iBuildApp dashboard. One of the main concerns you may have with a private mobile app store is how much security is involved. You don’t have to worry about this because the app store is invitation only. So, if someone wants to use one of the apps in your store, it’s up to you to decide whether or not they are trustworthy. Feel free to remove access for people who are no longer working with your company as well. Do you need to send out a company-wide message? Forget about email, and just send this message through a push notification in an app. Your employees can also send in user feedback to improve the apps, which is great for rebranding and restructuring. The app store helps with LDAP or SSO authentication, and if you’re working through iOS, you can use enterprise distribution files. Whether you’re working off the Android or iOS systems, this app store allows for the managing and distribution of your custom apps. Not to mention, you can send out updates from the comfort of your own device as well. 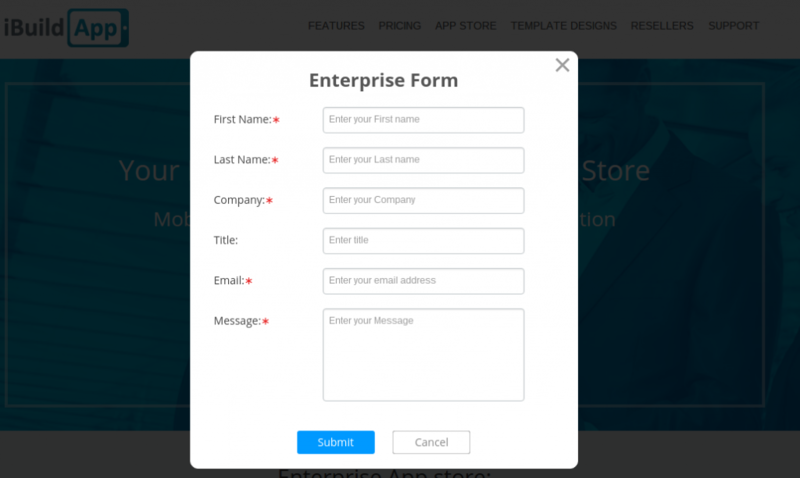 How Do You Sign Up for a Private Mobile Enterprise App Store? If you’ve decided this is a viable solution for your company, click here to learn a little bit more about the solution. Click on the Get More Information tab to fill out a request form. We’ll be in contact with you after that. The Mobile Enterprise App Store from iBuildApp provides plenty of opportunities to develop your own apps that no one else can see but the people in your organization. All of the work-related apps sit on this app store, so if you were to bring in a new hire, simply give them a link to the store and they can put the apps on their own device for the future. If you have any questions about the private mobile enterprise app store, feel free to drop a line in the comments section below. We’re excited about this feature, so your feedback is always important.